Ebola vaccination is ongoing in D.R Congo to protect front-line health workers from contracting the disease. Vaccination against Ebola is considered a milestone achievement following the death of a number of medics in the past in Uganda, Liberia, SieraLeon who died in the line of duty. 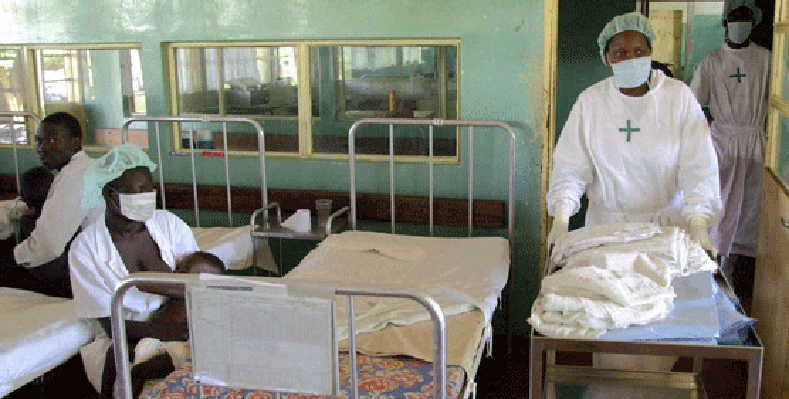 The Director General of Health Services in Uganda’s Health Ministry has instructed at least 10 border districts on the Uganda-D.R. Congo border to be on maximum alert in order to prevent the possibility of the Ebola outbreak in Congo from crossing into Uganda. Dr. Henry Mwebesa named the high risk districts as; Kasese, Bundibugyo, Arua, Koboko, Yumbe, Ntoroko, Nebi, Hoima, Masindi, Bdundibugyo. 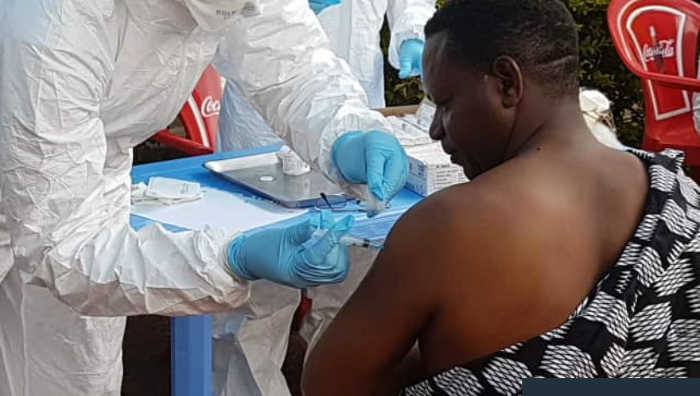 The Alert comes in the wake of reports by the World Health Organisation (WHO) showing that one woman was confirmed to have died of Ebola on the Congo side of Lake Albert in a village called Kasenyi, Ituri Province that shares the waters of the Lake with Uganda. 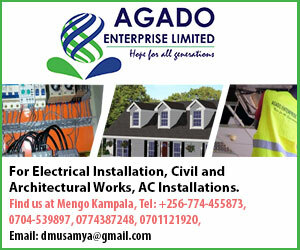 The patient died on the September 19, 2018, at Tchomia General Hospital which is close to Uganda. The Ministry of Health in Uganda says that although there are no confirmed cases of Ebola yet, all Ugandans, especially health workers need to remain vigilant. Mwebesa warned that with the continued high presence of the disease in North Kivu and the Congolese crossing over to Uganda through Porous borders, there are higher chances of the disease crossing into Uganda. “We understand that there are population movements across the Lake Albert to Uganda hence a high risk of spread of the disease to Uganda. The Ministry of Health and Partners are supporting the districts bordering DRC to heighten preparedness and readiness to handle any Ebola case that might come into Uganda,” the Ministry of Health added in a Press Statement. The source of concern for Uganda also stems from a warning about increased violence and armed fighting by rebel groups in North Kivu region which has the highest concentration of Ebola cases. While addressing a news conference in Geneva, WHO’s head of emergency response, Peter Salama described the situation in North Eastern region of Congo as a Perfect Storm. For Uganda which shares a porous border with Congo, this raises the threat level even higher considering the fact that the insecurity will force hundreds and possibly thousands of Congolese to seek refugee in Uganda, as the case has been before. Meanwhile, Salama noted that continued fighting has already made tracking suspected cases of Ebola difficult, but could also force humanitarian workers to evacuate the region. WHO also noted that Ebola patients tend to travel widely in search of alternative care. “Those who are sick with Ebola travel widely to seek alternative care, putting themselves, their families and health workers at risk. This has brought infection to new locations, where teams cannot provide them with access to treatment, or provide protective vaccines to their contacts. 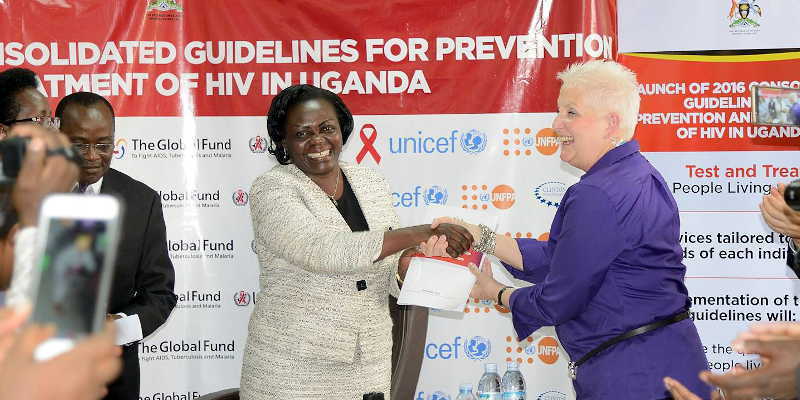 These include security red zones which are difficult to access, and to areas bordering Uganda,” said the global health body. Uganda’s Ministry of Health warned District Health Officers (DHOs) to use all available channels to sensitize the masses on the disease and any case identified to be reported very fast to the health centres. The Ministry of Health promised to introduce vaccination of front-line health workers to protect them against infection with Ebola Zaire, the strain causing the outbreak in DRC. Ebola is one of the hemorrhagic fevers that are caused by humans getting into contact with wild animals like monkeys. A person who tests positive to Ebola presents with high fever, passes out blood through all body openings, vomits, experiences body weakness, headache among others and if not treated with in the first 24 hours, can easily die. According to the World Health Organization (WHO), the disease has claimed at least 101 people mostly in North Kivu region which neighbors Uganda and Rwanda. Although the number of cases of deaths and the sick have been declining, neighboring countries have urged people to remain vigilant.